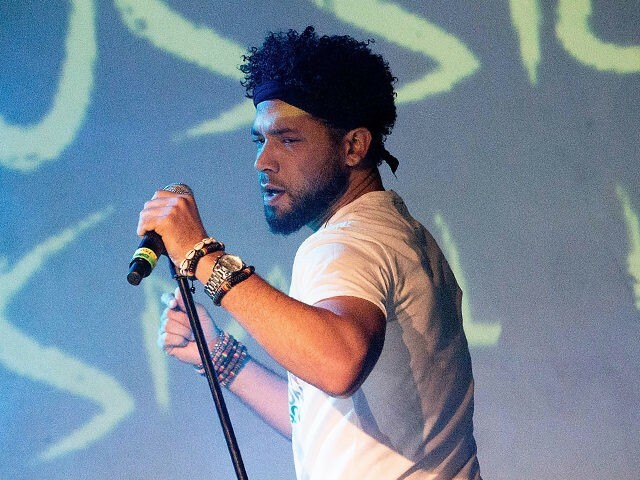 Empire actor Jussie Smollett on Friday spoke out for the first time since he was allegedly physically attacked in Chicago by men shouting racial and homophobic insults, affirming he has been “100% factual and consistent” with his story. According to a police statement, the actor was walking near the Chicago River downtown around 2 a.m. Tuesday when he was approached by two men who shouted at him, struck him in the face and poured an “unknown substance” on him before one of them wrapped a rope around his neck. Police spokesman Anthony Guglielmi said that when officers first came in contact with Smollett, he still had a rope around his neck. While being interviewed by detectives, Guglielmi said Smollett told them that the attackers yelled he was in “MAGA country,” an apparent reference to the Trump campaign’s “Make America Great Again” slogan. Detectives reviewed surveillance footage of Smollett walking to his downtown Chicago apartment, yet so far none of the video shows him being attacked by two masked men, although investigators have obtained images of people they would like to question, a police spokesman said Wednesday. Guglielmi tweeted photos of the “persons of interest” Wednesday evening. Guglielmi said detectives, who are investigating the allegations as a possible hate crime, have looked at hundreds of hours of surveillance video from businesses and hotels in the heavily monitored area. However, he said they still need to collect and view more. Further, he said Smollett and his manager told detectives they were talking on the phone at the time of the attack, but that the 36-year-old actor declined to turn over his phone records to the detectives, who routinely ask for such information during criminal investigations. In a statement Thursday, Smollett’s family called the alleged attack a “hate crime” and pushed back against any suggestion that he was anything but honest with the police.